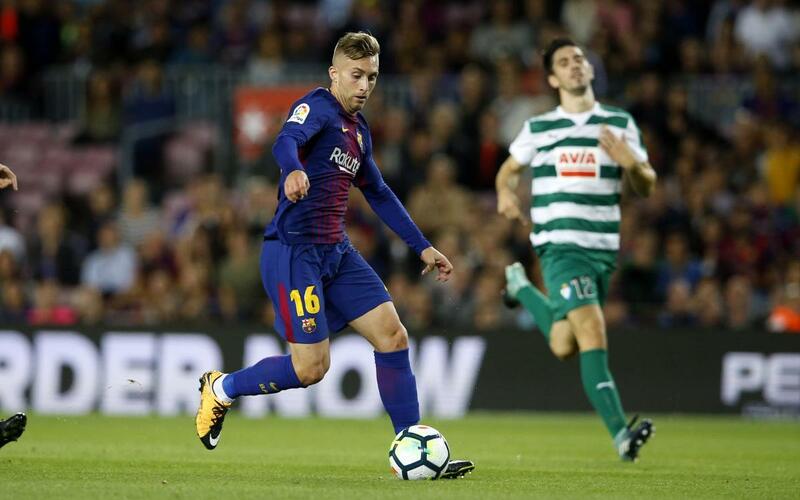 FC Barcelona and Watford Football Club reach an agreement on the loan of Gerard Deulofeu until 30 June 2018. The agreement sees the English team cover his salary and a potential add on of one million euros. The Catalan winger will continue his development as a footballer with Watford Football Club until the end of this season. He started out as a nine-year-old at La Masia in 2003. From these beginnings, he impressed as a blaugrana and eight years later, in 2011, he made his debut for Luis Enrique’s Barça B team. In April of that year, when he was 17 he was called up to the first team by Guardiola. However, it wasn’t until August 2011 that he made his first team debut. After alternating between FC Barcelona and Barça B, the Club loaned him out to Everton in 2013. At the age of 20 he returned and was then loaned to Sevilla FC and he played for Unai Emery. He was then signed on a permanent basis by Everton and spent two seasons there in which he played 37 times and scored twice. Following this, he moved to AC Milan and his good performances in Italy earnt him a return to FC Barcelona, where he has played 17 games and scored twice. The winger from near Girona has played a total of 110 games for the first team and the B team. With the first team, he has won the league and two Spanish Supercups. In the 2011/12 season, he was the top scorer for Barça B with nine goals. He will now move to Watford Football Club in the Premier League until the end of this season.